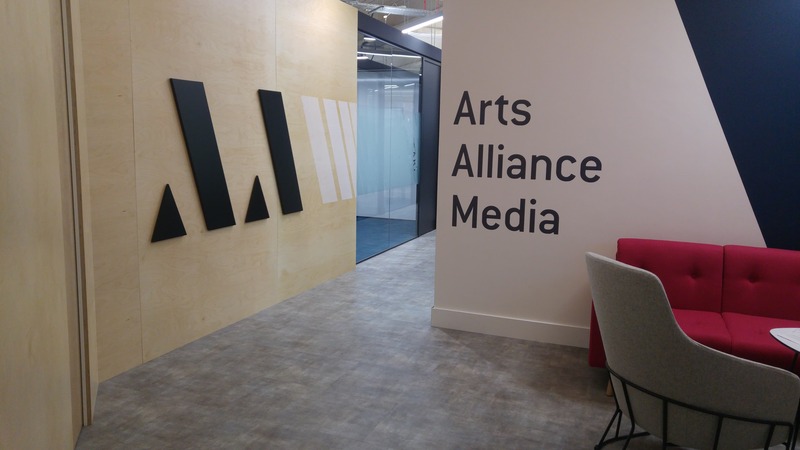 London (December 4, 2018) – Arts Alliance Media (AAM), the global leader in cinema software and services, are pleased to announce that they have relocated to state-of-the-art office space in White City Place, a new media village in West London. AAM have moved into a prime location in the WestWorks, a newly renovated office building right at the heart of the campus. White City Place currently includes a group of three buildings in White City – WestWorks, MediaWorks and the Garden House – from architects Allies and Morrison, set around a central avenue with high quality retail spaces, restaurants and gardens. Totalling 566,290 square feet of new office space, the buildings have been designed for modern life sciences, creative and tech businesses, including ITV Studios, Autolus, Synthace, YOOX Net-A-Porter, The Royal College of Art and Huckletree. Three other buildings at White City Place – the Broadcast Centre, Energy Centre and Lighthouse building – totaling around 400,000 square feet, will continue to be occupied by the BBC with 3,000 BBC staff.